Residents living close to Sheffield city centre fear pedestrians are at risk because the road network can’t cope with huge new developments. Caroline Irving, Jim Dimond and Green councillor Alison Teal want the council to invest in new crossings and traffic lights in the neighbourhood around Cemetery Road. They say the road network dates back 40 years but hundreds of new people have recently moved into apartments and student accomodation in the area. Caroline said: “There are implications when you have developments with 1,500 new residents. “All the buildings near Aldi and the New Era development have generated a ridiculous amount of traffic. “The traffic light system at London Road, Cemetery Road and Boston Street has been there years and needs rethinking. “It needs traffic lights with the Napier Street crossing to Somerfield. London Road and Boston Street are very complicated and were designed when there were lots of small side roads. “The whole road network needs rethinking and the council needs to look at the road safety issues quickly. Coun Jack Scott, cabinet member for transport and development, says the council is already making improvements and he will look at further schemes. “We are making many improvements in the Cemetery Road and London Road area, not least the exciting New Era Square development which is now moving close to completion. “I hope the whole community can benefit from these changes. 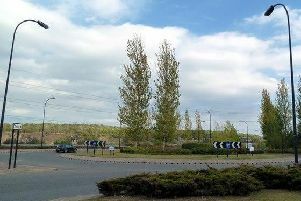 The New Era Square development included the widening of footpaths and improved cycle provision at the Bramall Lane roundabout. “The development also included the pedestrianisation of areas of existing highway. Works on Summerfield Street will provide a pedestrian crossing, additional dropped crossings and provision for a riverside walking and cycle route. The Sheffield Transport strategy brochure from June 2018 reported on the impact of developments without better transport. The report said it would mean up to 20 per cent increase in traffic and journey times at the inner ring road with longer queues on routes into the city. It predicted a 35 per cent increase in delay in the city centre for cars and more regular gridlock and warned of little progress in reducing carbon emissions.